This latest release certainly proves that the music of the sixties and seventies has influenced Kravitz's music. Mixing his own personal flavor with those reminiscent sounds forms a combination of sound that is truly unique. 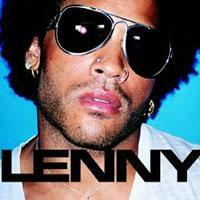 Lenny Kravitz's sixth album, simply titled Lenny, is a great collection of tracks. Overall, the release contains the usual Kravitz-sounding material, like "Fly Away," that has infiltrated the radio waves over the last few years. Although he still holds on to his more successful sounds from earlier in his career, this album distinguishes itself through the use of softer ballads and Kravitz's more personal stories. Lenny begins with upbeat rhythms and rocking beats, utilizing a quality drumline. Kravitz's neo-hippie sound is most notably heard in the opening track "Battlefield of Love," where the electric guitar and old-fashioned beats are well catered to his voice. After the first two tracks, the album steers towards three slower paced tunes. These contrasts to Kravitz's more traditional sound prove that he can successfully incorporate a variety of musical styles in just one record. Songs like "Yesterday is Gone" are sure to please listeners, more likely because of their softer sound. The ballads are a key component to this album's success, giving the CD a deeper, more personal feel. Kravitz's introspective lyrics are most evident in "Believe in Me", where he reveals his insecurity, sleepless nights, and a need for a reason to live. The lyrics are powerful and the music is set to a dance beat background. Such a combination makes this track very special. Kravitz also shows his ability to put a positive spin on a rough experience. While walking to his Florida home, police officers accosted Kravitz, accused him of robbing a local bank earlier that day, and handcuffed him. Because he was not carrying any identification with him, the police refused to believe who he claimed to be. Kravitz believed he was the victim of racial profiling, but the event did not leave him bitter as one may guess. Instead, it inspired the upbeat song "Bank Robber Man." The lyrics in this track are rather simple, and the police sirens in the background get a bit annoying, but nevertheless it is a rather catchy summer song. Upon hearing "Pay to Play", one gets the sudden feeling that there is a mistake: somehow "American Woman" has accidentally found its way onto this new CD. Passing the track off as new material is definitely a mistake, and though the lyrics are different, "Pay to Play" merely reinjects the sound that made a Kravitz hit a couple years back. The track is not as ear-catching as "American Woman," and it is saturated with a radio beat. The complete lack of a new sound makes this track one of the few mistakes on the album. The best of all the songs is "Dig In," but its high frequency on commercial radio playlists takes away some of its punch on the album. The rest of Lenny is a stand-alone success even without this song, but it cannot hurt to have a hit single leading the way. If it has not become obvious from his earlier albums, this latest release certainly proves that the music of the sixties and seventies has influenced Kravitz's music. Mixing his own personal flavor with those reminiscent sounds forms a combination of sound that is truly unique. This story was published on Tuesday, November 6, 2001.